We thought it’d be fun to hang out at the local mall all day. We couldn’t be more wrong! I was a summer intern at an advertising agency when they assigned my team the market research for a popular shampoo client. We thought it’d be a fun day at the mall, asking people to kindly fill up our stash of survey forms. If only! The day was long, and the forms remained heavy in our hands as even the most kind-looking patrons grimaced at the two-page long questionnaire and our hopeful faces. Needless to say, our survey response rate was absolutely dismal! Surveys have a bad rap. And considering the sheer volume of long-winded, dreary surveys there is, it’s not even underserved. It comes as no surprise then that people dislike surveys, even people who appreciate the feedback. It’s high time we address the tedious chore that surveys have become. Why is Survey Response Rate Important? Did you know that there is a name for our inclination to drop a survey halfway and do something exciting instead? It is called survey fatigue, and it is very real. It is also the nightmare of survey-makers. The feedback could be skewed, data distorted, and insights vague, with the respondents leaving the survey halfway. Survey-fatigue is very real. It is also the nightmare of most survey-makers. Which is why higher survey response rates are proof that you are doing something right. We’ve put together seven tips to achieve higher survey response rates than ever. Remember the two-page long questionnaire of my internship project? Big mistake it was. Never stuff your surveys with long-winded questions and a dizzying list of options. Short and simple surveys wouldn’t scare the respondents away. Most people won’t mind if it’s taking them only a couple of minutes. Remember to make your survey questions precise and succinct. I agree that open-ended questions sometimes deliver the most insightful responses. But not always. Stuffing your survey with a list of open-ended questions will only put-off even those who want to help you with feedback. 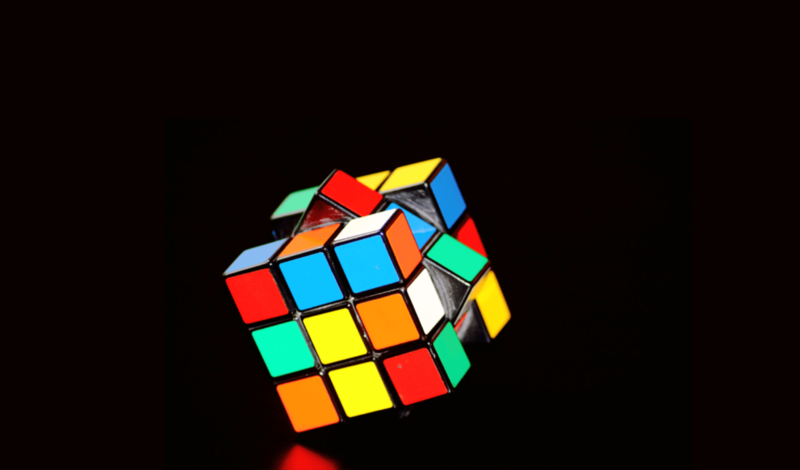 By all means, include open-ended questions, but use them carefully. Ha, Opinion Scales! 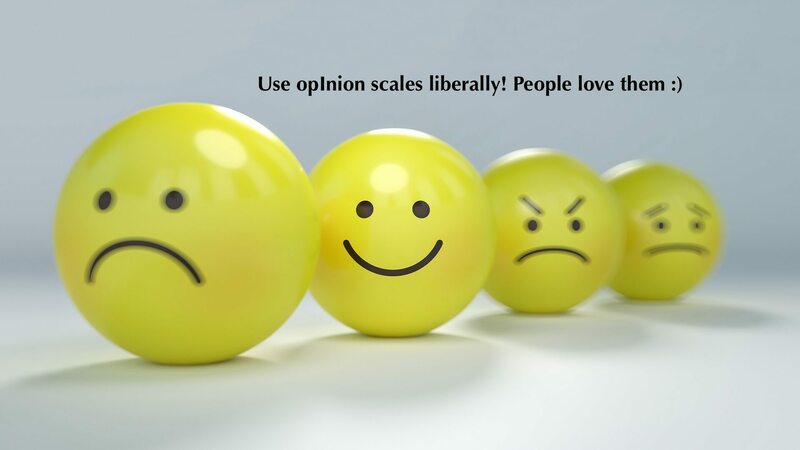 Opinion scales are those intelligent question types that require the respondents to choose from a scale/range of answers. Use them liberally because they require the least effort from the audience but provides precise data for you. Since too much of anything is bad, put them to optimum use, but cleverly. Before you press that ‘Share’ button, ask yourself. Would you happily answer this survey even if you had no stakes in it? If you are doubtful, you already know that the survey is in poor taste. Hence, the importance of an engaging UI. 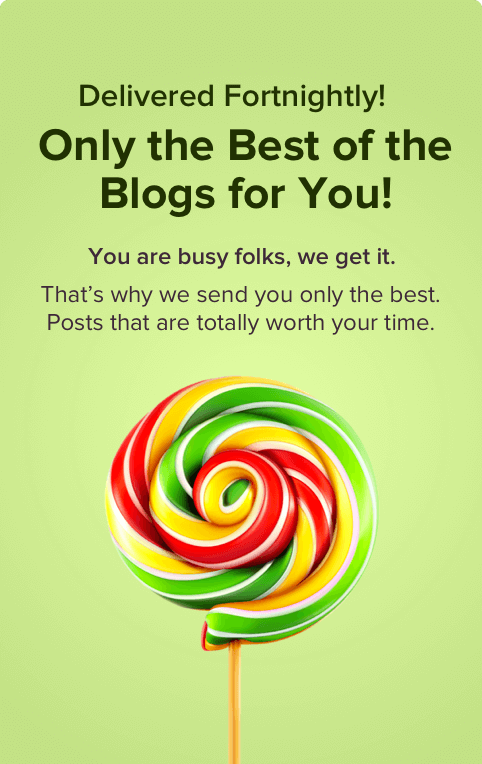 Don’t use interfaces that’ll rock your audience to sleep. 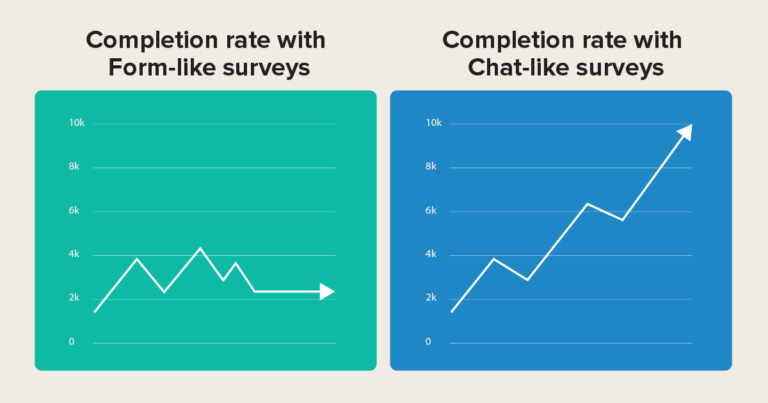 A conversational UI can do wonders for your survey completion rates. In fact, Survey platforms that offer a chat-like user experience have been proven to raise the survey completion rates by a staggering 40%! 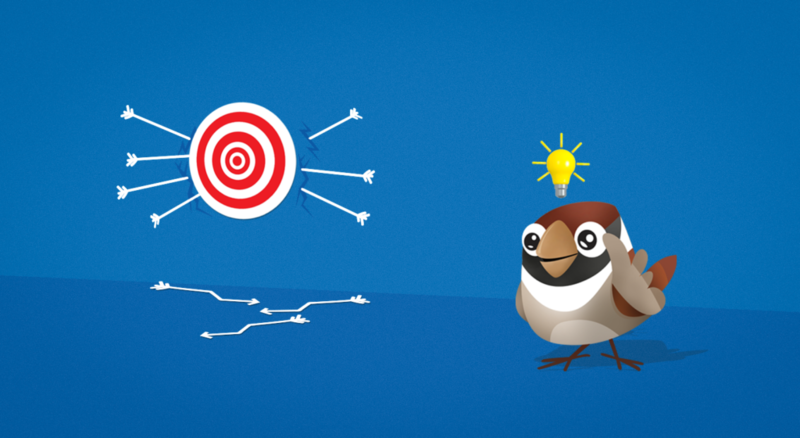 Make your surveys look alive and engaging with SurveySparrow. Sign up for your free 14-day trial and create your very own chat-like survey. A no-brainer, but you’d be amazed at the number of people who get it wrong. I’ve been asked by strangers with a questionnaire on my way to work to divulge my monthly income! Why would I ever tell them that? Acknowledge that the survey respondents do not owe it to you to complete your survey. They are doing you a favor, and the least you can do is to be polite. 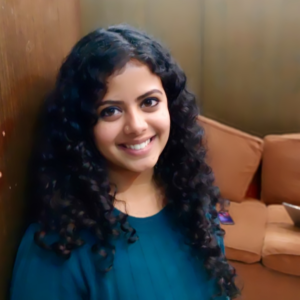 Start with a nice greeting, ask non-offensive questions, and end with a warm thank-you. Studies suggest that people are more likely to complete a survey if they are offered a tangible benefit. A little something like a gift card or discharge coupon is more than a reward for completing the survey. They also indicate that you value, and are grateful for the time of the survey respondent. Win-win! Do not overdo incentives though. Giving away a lot of gifts might attract the wrong crowd that cares only about what’s in it for them. Strike a careful balance with an incentive that is valuable enough to be appreciated but not enough to purchase responses for you. Craft beautiful surveys with instinctive and relevant questions. There is something about being addressed by your name, and being paid attention when you are talking. Online survey tools with advanced features let you ask questions based on the response to questions preceding that. 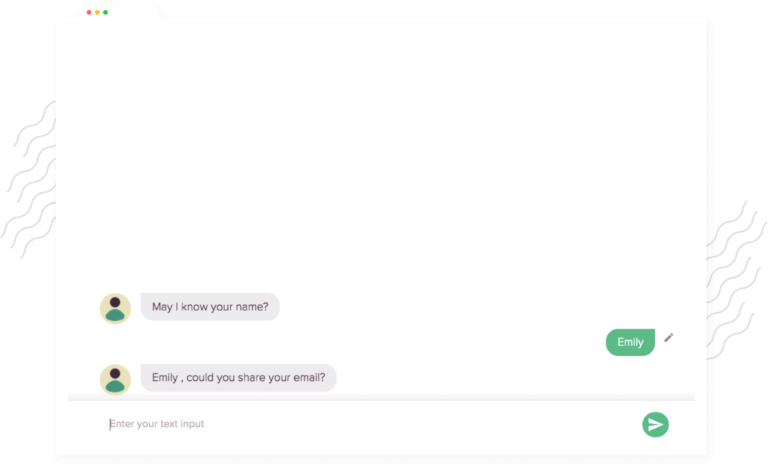 SurveySparrow has Question Piping, Contact Param, and Custom Param to personalize questions for each respondent. In effect, the survey questions are as close to real, one-to-one conversations as possible. Now that you know how to make fabulous surveys that people will enjoy completing, ace them! 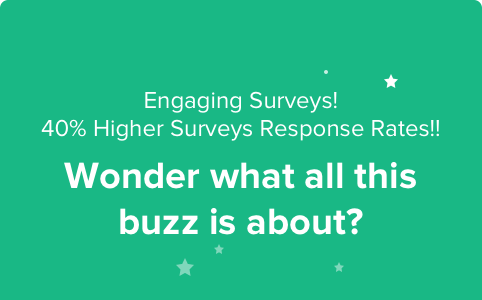 Turns out, higher survey response rate is no rocket-science! What is a Good Survey Response Rate, Indeed! Here’s the Answer We Found. Tired of Awful Surveys? We’re too!